TICKETS: The Go Goodwin’s Manchester Storm are back in ELITE LEAGUE ACTION this Saturday 10th September vs the Cardiff Devils 7pm F/O! Tickets can be ordered online or by calling the box office on 0161 926 8782, or in person at the box office. 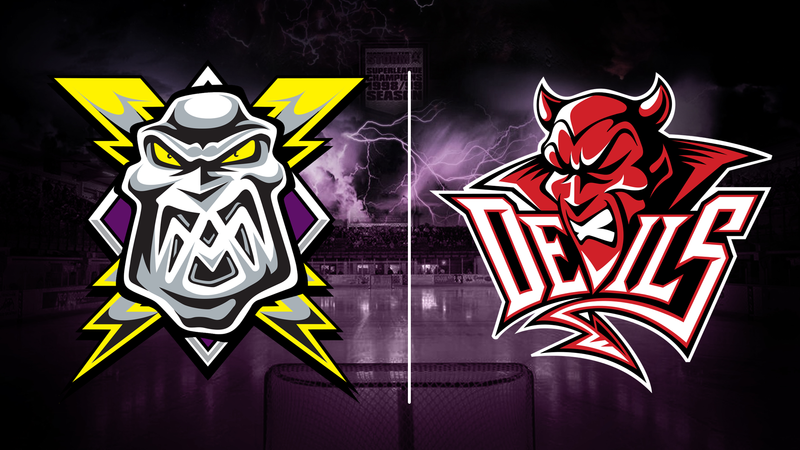 Your Go Goodwins sponsored Manchester Storm have just the one game this weekend, taking on the Cardiff Devils at home on Saturday, with Face-Off at 7 pm. The teams will be chasing 2 vital Challenge Cup points in this tie, and both clubs will be aiming to progress out of the group stage and stay in the hunt for the silverware. The Storm are coming into the game on the back of Wednesday’s 3-3 draw in Coventry, in our final pre-season game. It was a memorable game for 2 Storm players in particular. Jack Prince’s laser-beam of a wrist shot past Renny Marr to level the tie at 3-3, whilst Phil Spanswick started his first ever game for the Storm. In difficult, misty conditions Spanswick had a fantastic game, restricting the Blaze to only 3 goals. Mark Heatley and Paul Phillips, who has been in fine form so far this season, scored the other two goals for the Storm. After just 4 games of the season, 8 of the 10 Manchester Storm forwards have already scored a goal, which bodes well for the rest of the season. With goals also coming from defencemen Paul Phillips and Connor Varley, there are clearly goals throughout the entire Storm team. The Cardiff Devils have had a lengthy pre-season, facing teams from the KHL, Slovakian Extraliga, German Oberliga, as well as the Coventry Blaze. In two tight games against the Blaze, the Welsh team won in Coventry 3-2 and home 7-6, with the winner coming in 3-on-3 overtime from Layne Ulmer. The Devils came close to silverware last season, ultimately falling at the final hurdle in both the league and the Challenge Cup. The management have looked to take that final step this season by bringing in new signings such as Sean Bentivoglio and Layne Ulmer from Italy, alongside a number of returnees, including last season’s EIHL player of the year, Joey Martin, and netminder of the year, Ben Bowns. Both teams have quality throughout their lineups and the first competitive game of the season in the Storm Shelter is set to be a cracker. One to watch: 6’6” Patrick Bordeleau was the final Devils signing of the summer, joining from the Colorado Avalanche in the NHL where he played 136 games, amassing 195 PIMs and 16 points. Known as an enforcer, he has also played 289 games in the AHL, and he’ll be looking to make an impression in his first game for the Devils. There is free ice skating (inc. skate hire) post game! 50/50 & “Chuck A Puck” will also be running! Buy your tickets from sellers around the rink! 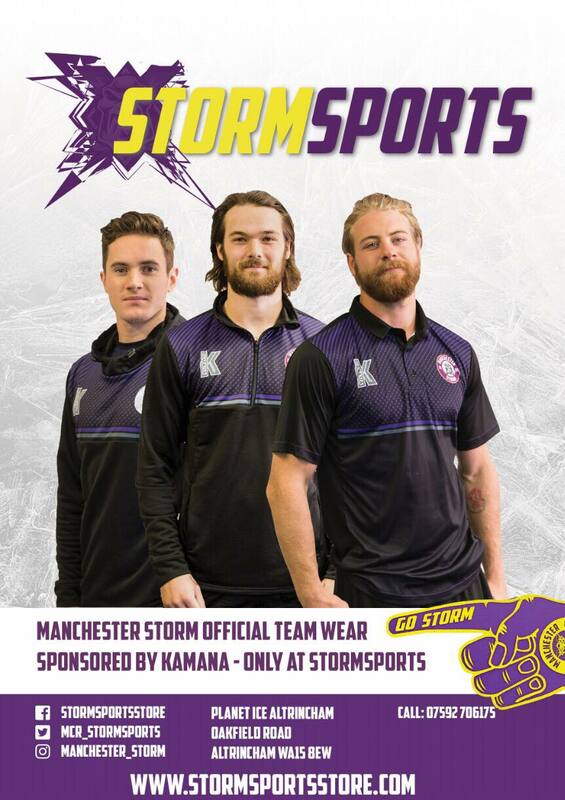 Storm want you to FLASH the Devils this Saturday!